It is not often that a dispute of real practical effect in the commercial property world reaches the Supreme Court but that is the case this Wednesday (17 October 2018) when S Franses Limited (Appellant) v The Cavendish Hotel (London) Ltd (Respondent) Case ID: UKSC 2017/0151 will be heard. The background in brief is that the tenant (Franses) has a textile dealership and occupies the basement, ground and storage area of 80 Jermyn St. The landlord (Cavendish) occupies and runs the remainder of the premises as a luxury hotel. The landlord opposed the grant of a new lease to the tenant under s 30(1)(f) of the Landlord and Tenant Act 1954 – otherwise known as "ground f", or the redevelopment ground. In essence, the landlord devised a scheme to satisfy the criteria of the redevelopment ground, backed by a written undertaking that the works would be carried out if possession was granted. Both courts below held that the landlord had established the requisite intention even if it only intended to carry out the works to satisfy ground (f) and the works had no other commercial objective. Whether a landlord whose sole or predominant commercial objective is to undertake works in order to fulfil ground (f) and thereby avoid the grant of a new lease to the tenant, and which offers an undertaking to carry out those works in the form of the undertaking given the present case, has the requisite intention for the purposes of ground (f). As matters currently stand, a landlord can in effect "construct" a case to satisfy the provisions of ground f, backed by an undertaking, even if the landlord's motive for doing so is simply to obtain vacant possession. As Mr Justice Jay noted in the High Court, ground f requires an examination of what the landlord intends to do and whether he intends to do it, not why he may intend to do it. 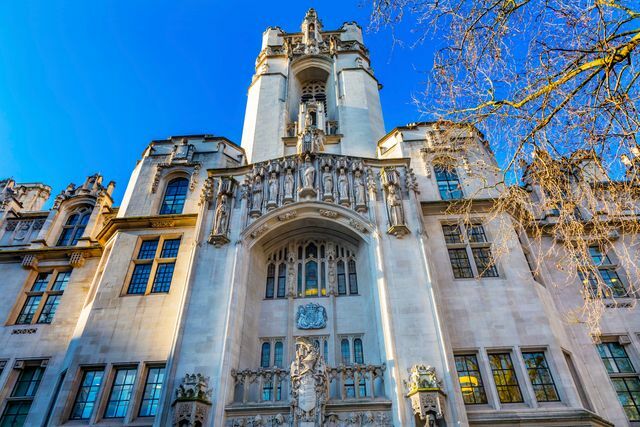 This has by and large also been the understanding of practitioners in this area for many years, in light of various historic cases, so the property world awaits the Supreme Court's decision with great interest.